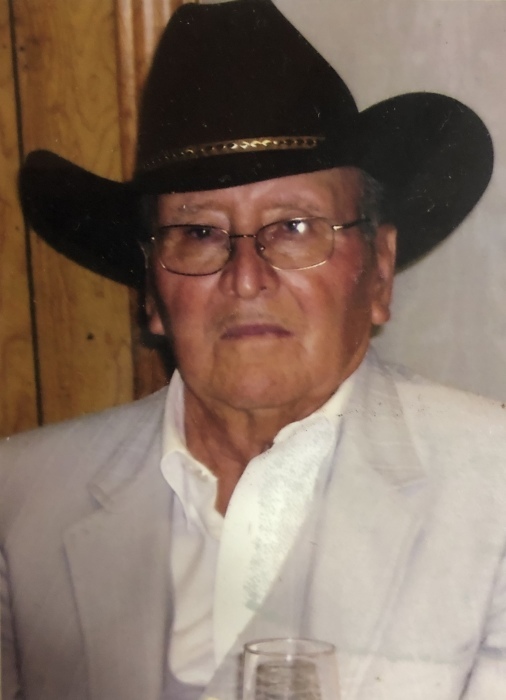 Ramon Blanco, 91, of Bryan passed away Saturday, February 9, 2019. Funeral Services are set for 10AM Friday, February 15 in the Chapel of Trevino-Smith Funeral Home with burial to follow in the Bryan City Cemetery. Visitation will be from 5-8PM Thursday, February 14 also in the Funeral Home. Born October 2, 1927 in Premont, Texas he was the son of Gonzalo and Enimencia (Garza) Blanco. Ramon loved to cook, playing Lottery scratch off’s and fishing. He was a devoted family man who deeply loved his family and spending quality time with them. He is preceded in death by his parents; and a son Gonzalo Blanco. Ramon leaves behind to cherish his memories, his loving wife, Catarina Blanco; four sons, Raymond Blanco Jr. and wife Connie, Daniel Blanco and wife Cindy, Phillip Blanco and wife Dianne, and Benny Blanco; two daughters, Amelia Brininger and husband Stephen, and Martha Pacheco; twenty-two grandchildren, forty-five great-grandchildren, and two great great-grandchildren.